The label is home to Toro Y Moi, Speedy Ortiz, and Cloud Nothings among others. Carpark Records has joined the growing list of musicians who are helping provide money and aid to those caught up in the devastating Hurricane Harvey. The label announced that for Thursday, August 31, 100% of their digital sales on Bandcamp will go to the Red Cross’ Hurricane Harvey relief efforts. Artists who have released music on the label include Speedy Ortiz, Toro Y Moi, Greys, Class Actress, and more. 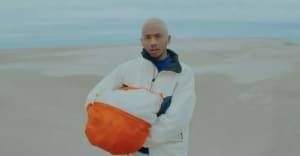 Company Records, which has released Toro Y Moi side projects including Les Sins and Chaz Bundick Meets the Matsson 2 projects, is also donating proceeds to the cause. Check out Toro Y Moi's 2017 album Boo Boo below and the rest of the label's back catalog here.